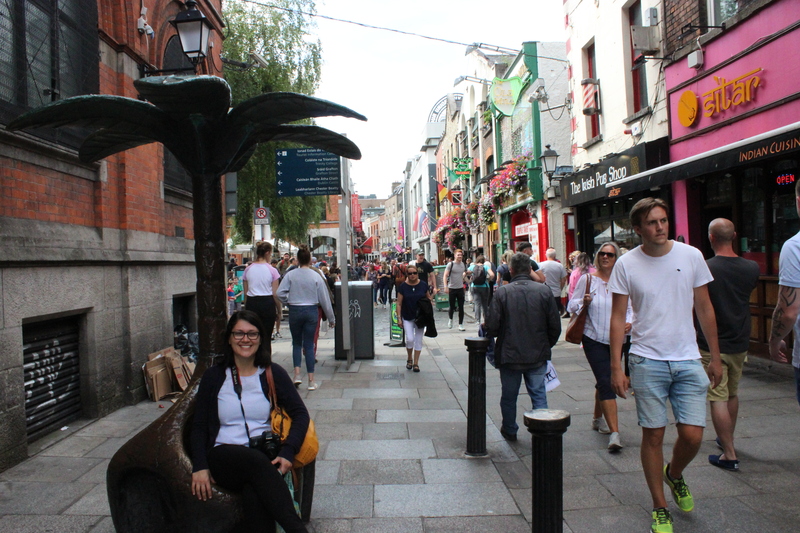 One more walk in Dublin before we take a tour outside of the city. 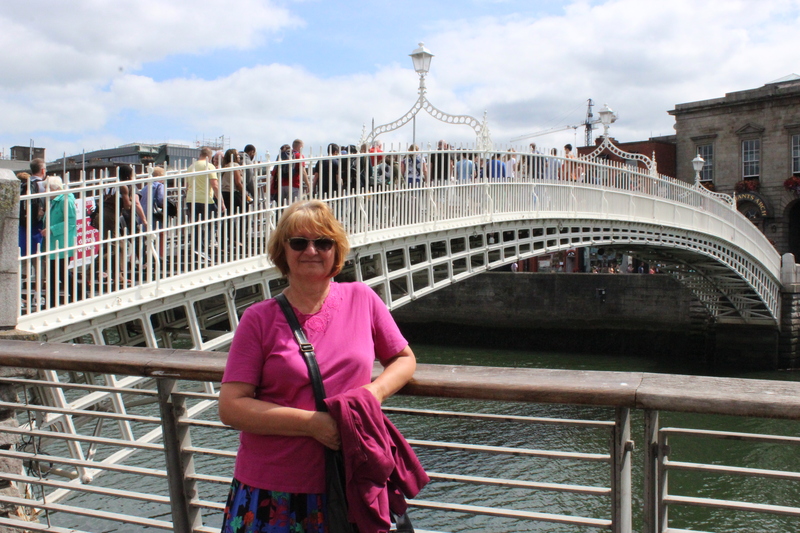 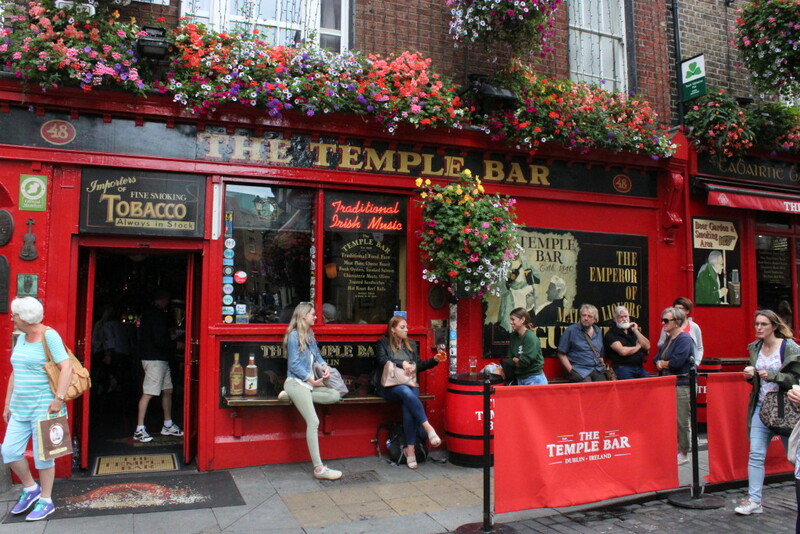 Like yesterday, we start from a bridge on the River Liffey then, we move to an entertaining neighbourhood called Temple Bar. 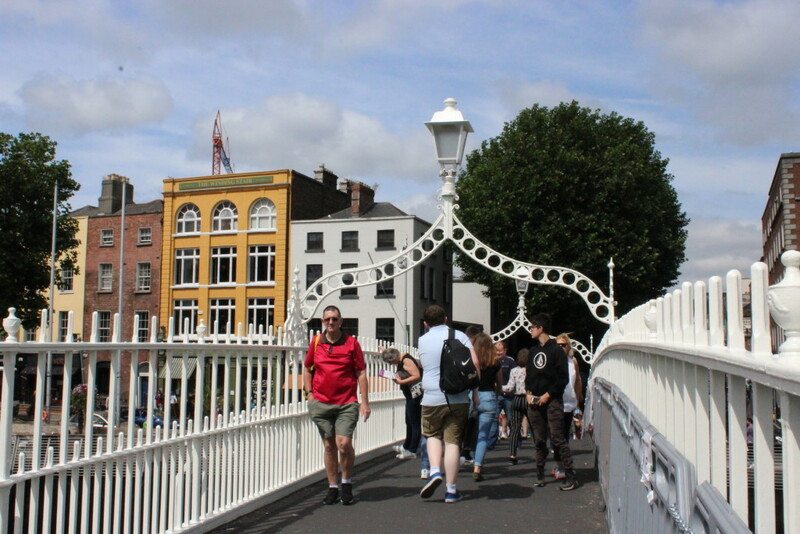 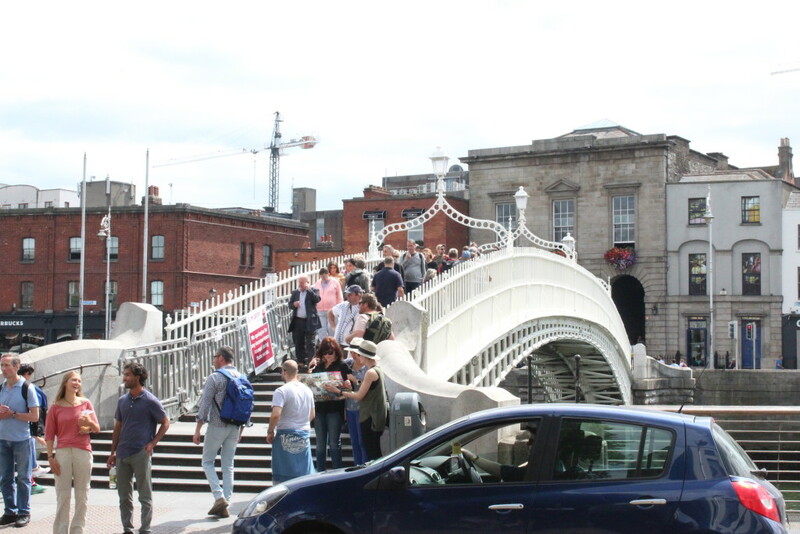 Built in 1816, this bridge was the only one of the River Liffey and half penny was the cost to get to the other side of the river. 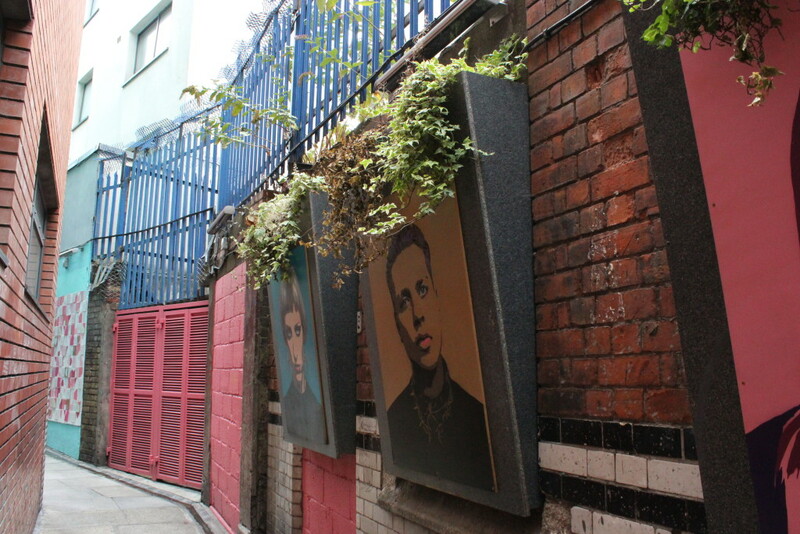 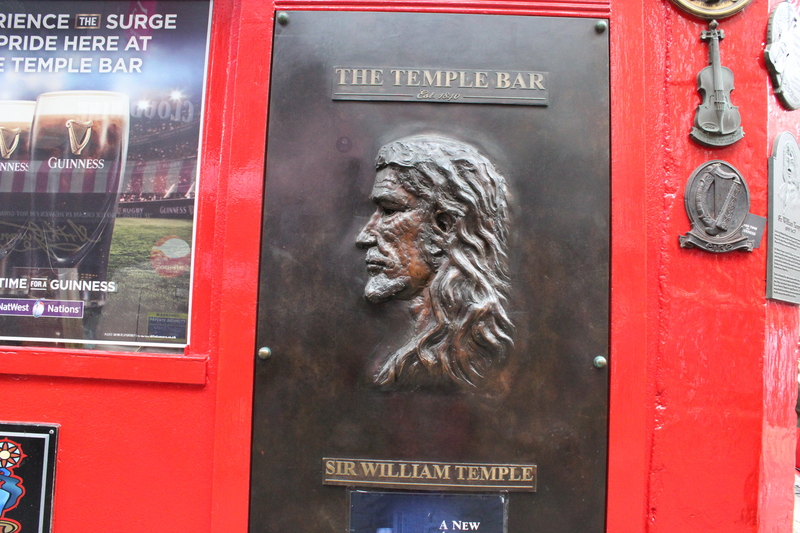 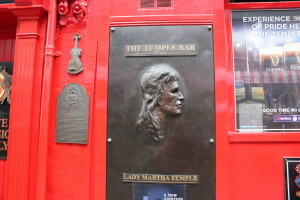 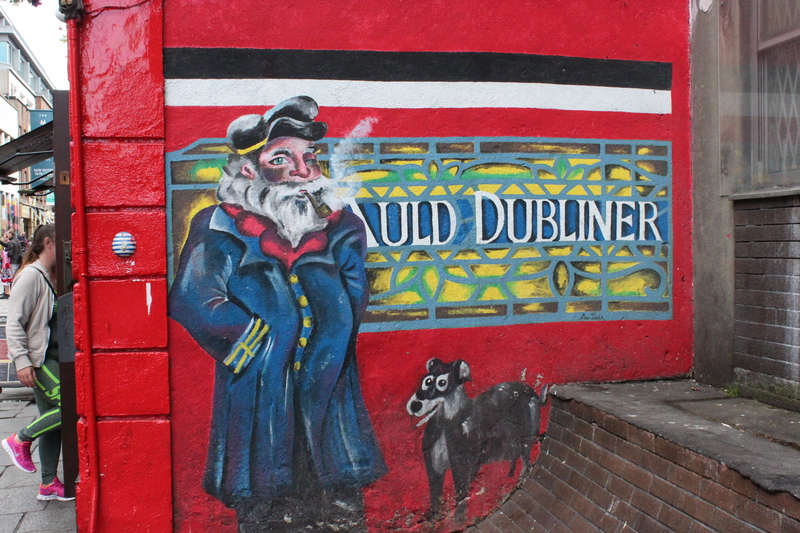 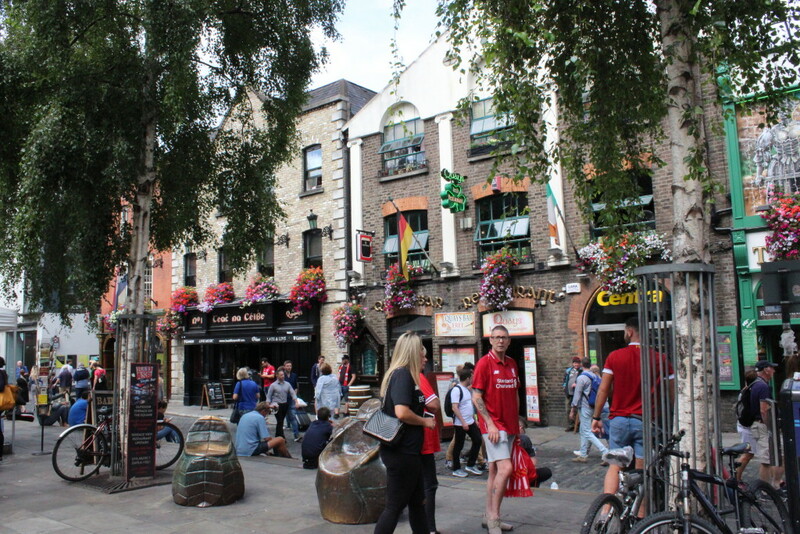 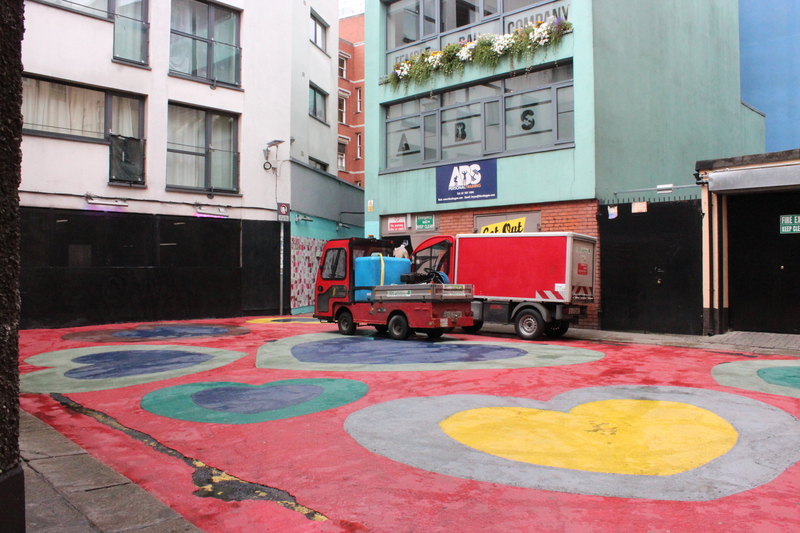 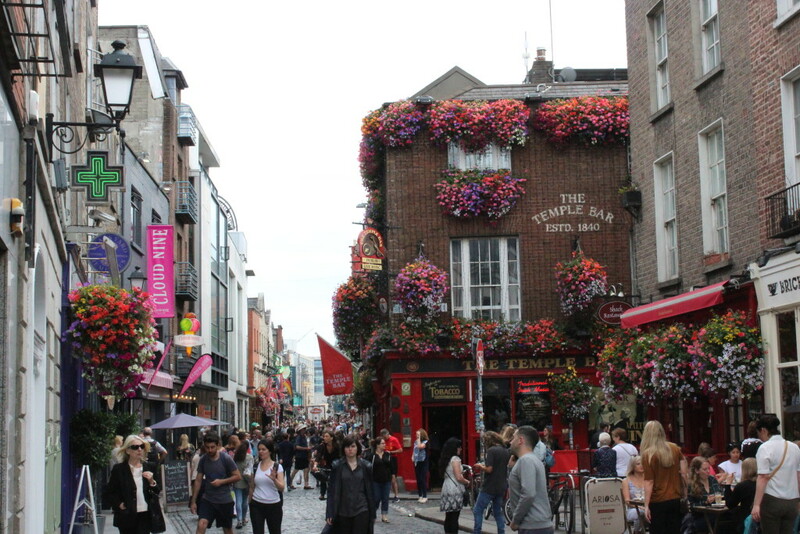 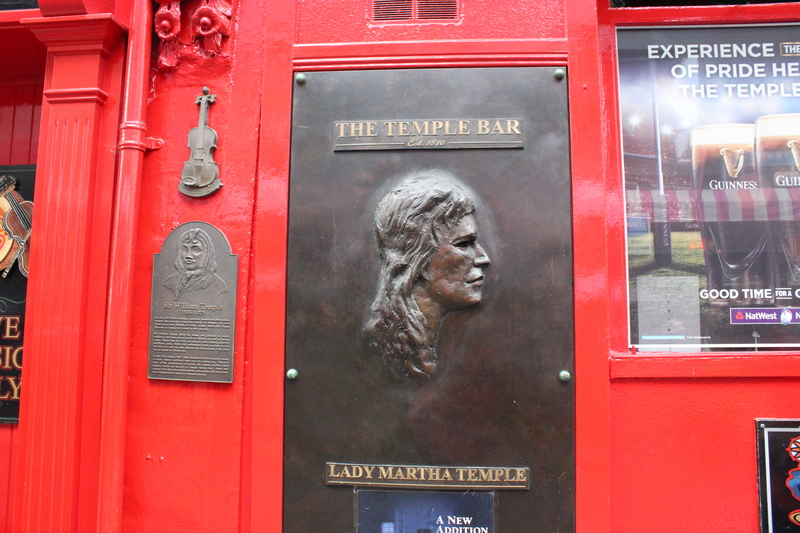 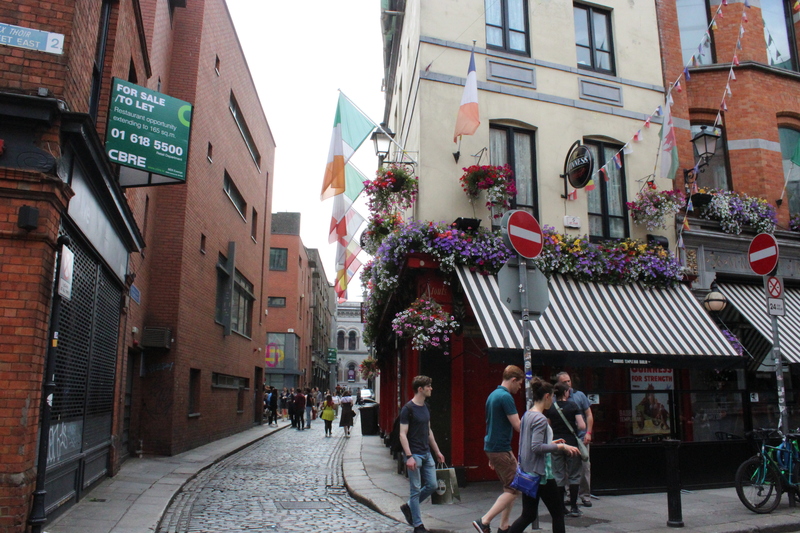 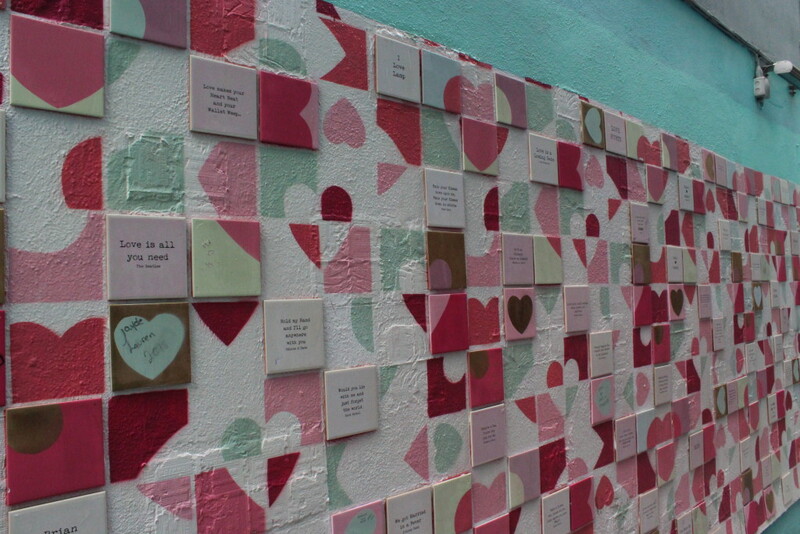 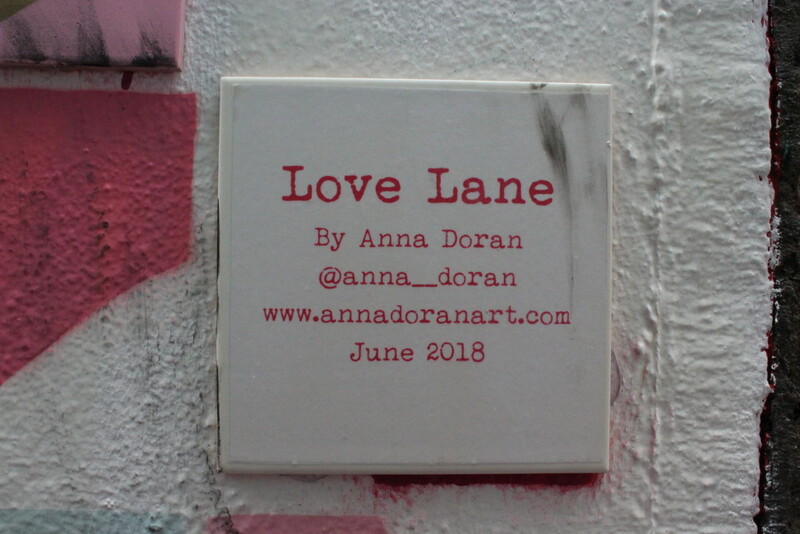 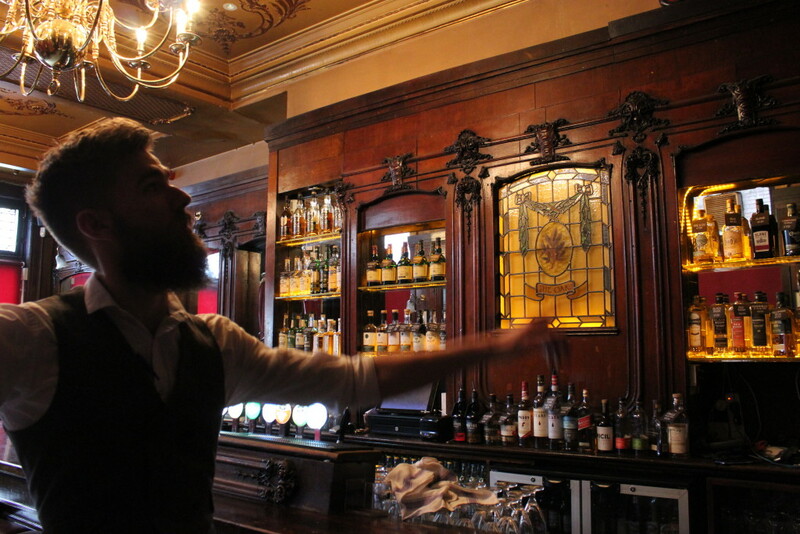 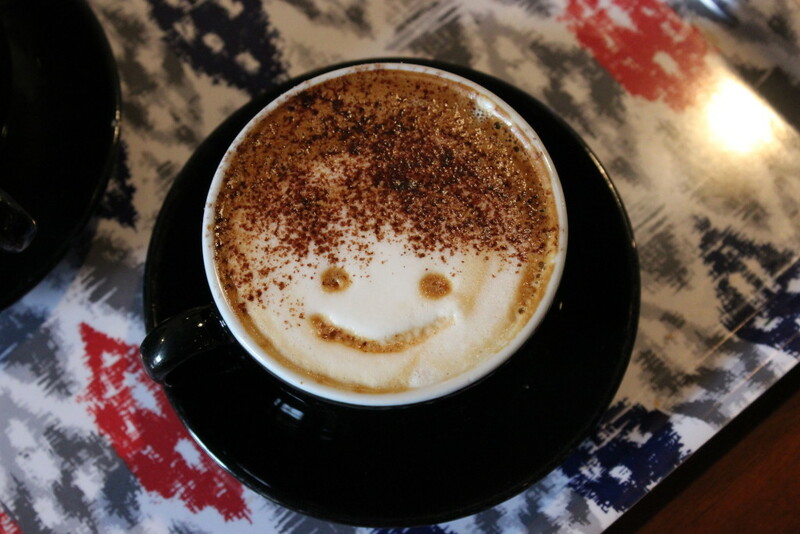 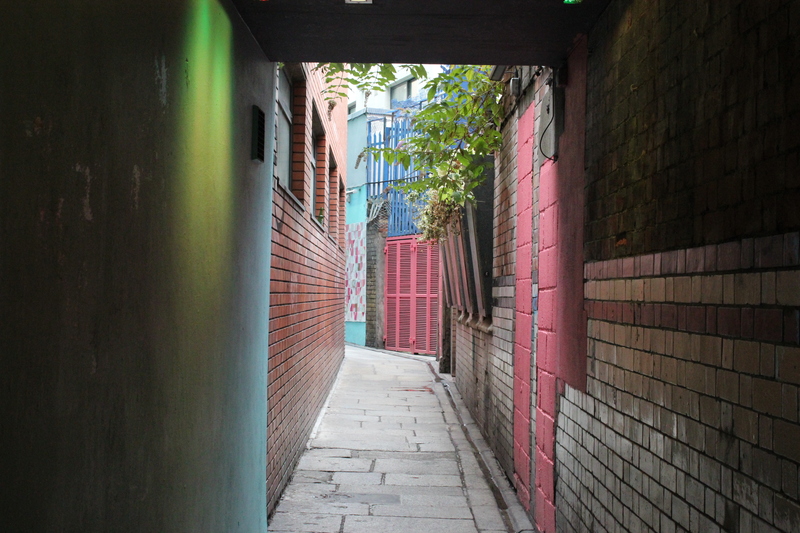 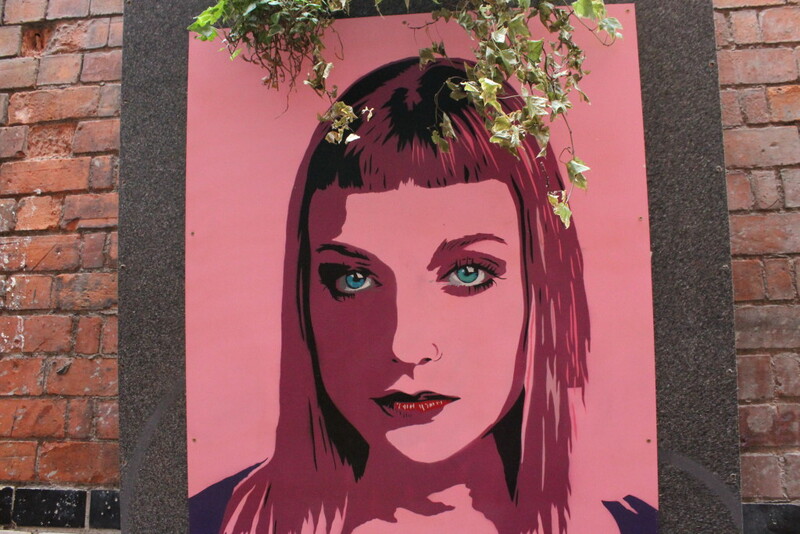 And now, the rowdiest neighbourhood in Dublin – Temple Bar. 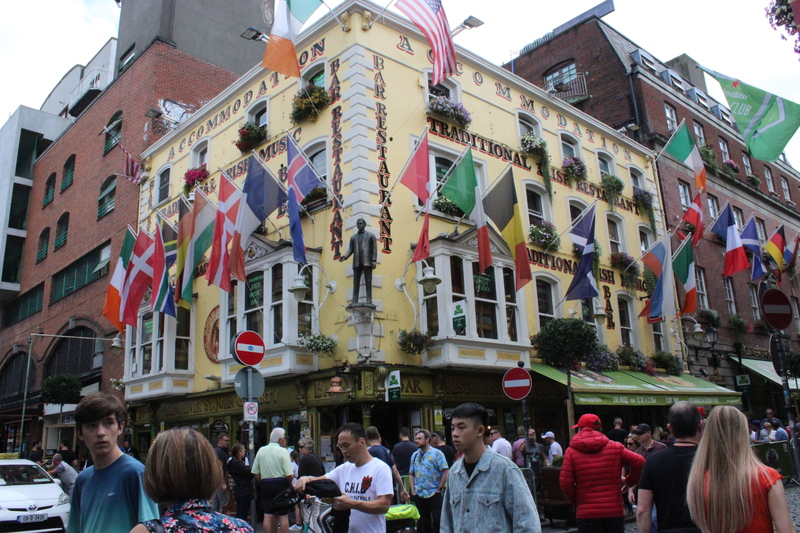 Even at noon, the pubs are filled with people and there is lots of cheering coming out of them. 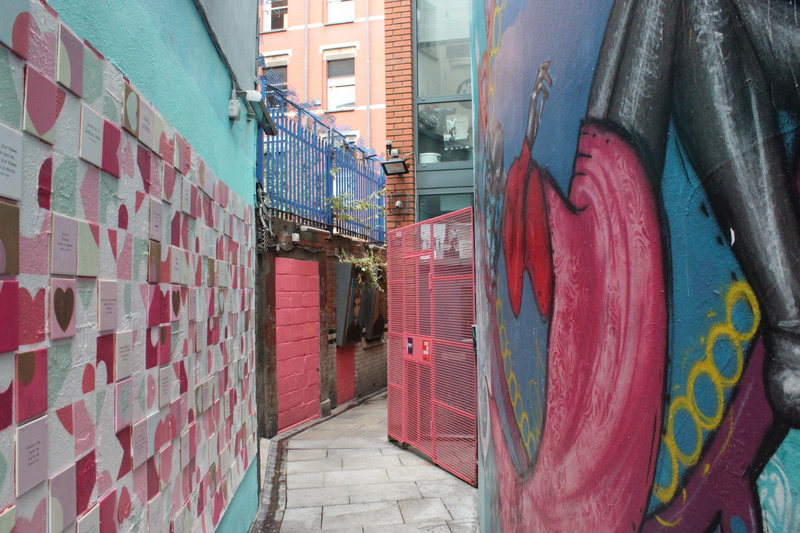 And here is our big discovery. 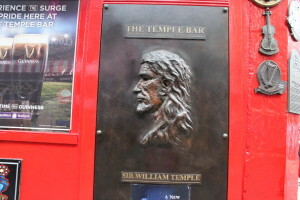 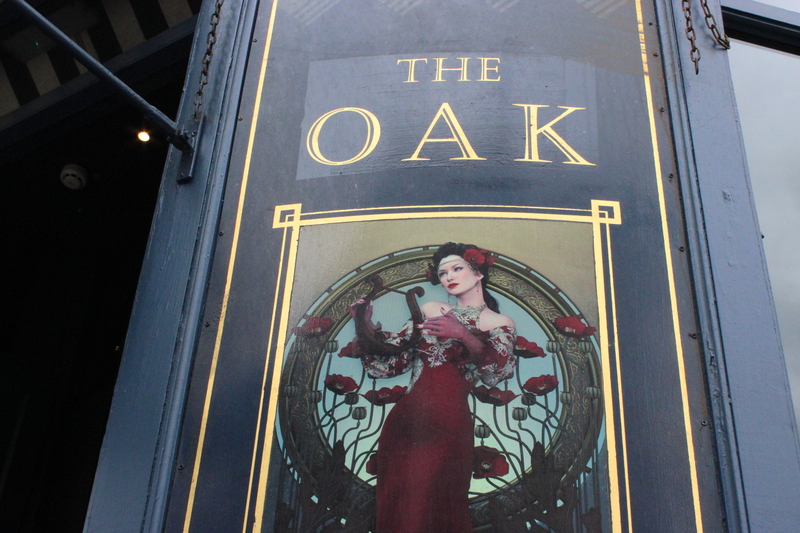 We found this bar very interesting and wanted to see what it looks like inside. 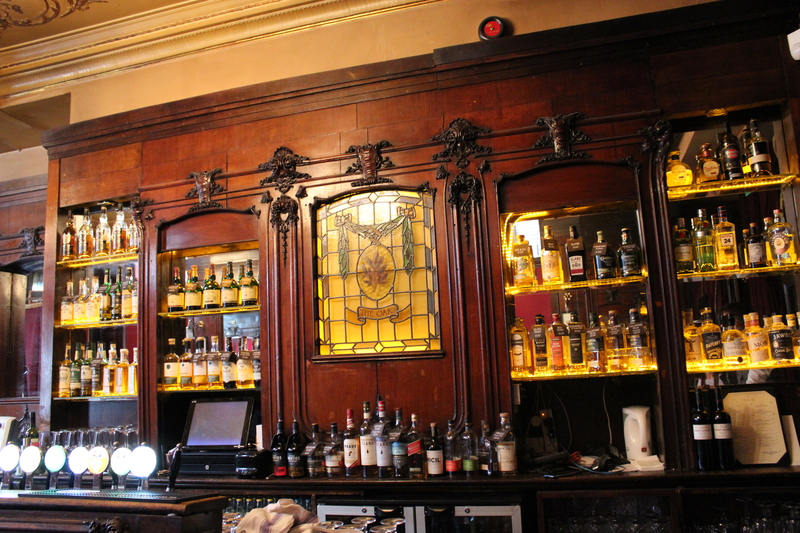 A very kind waiter invited us and showed us the bar made with wood salvaged from RMS Mauretania the sister ship of the RMS Lusitania. 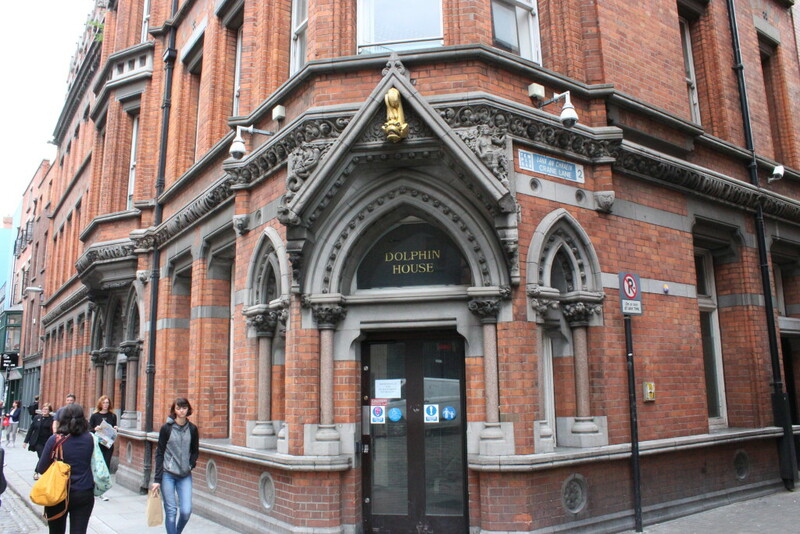 By the way, Lusitania was sunk in 1915 by a German U-boat 11 mi off the southern coast of Ireland. 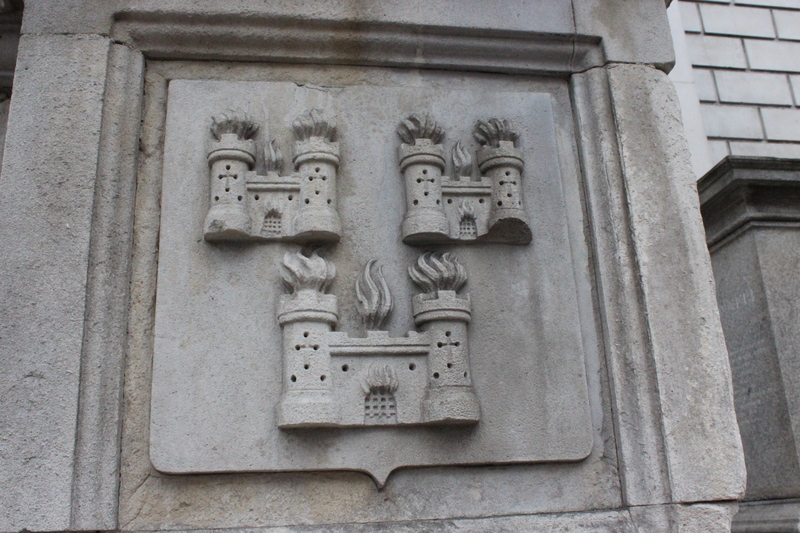 Mam wrazenie, jakby na kazdym zdjeciu bylo duzo historii.